Have the Greatest Baby Shower on Earth!!! 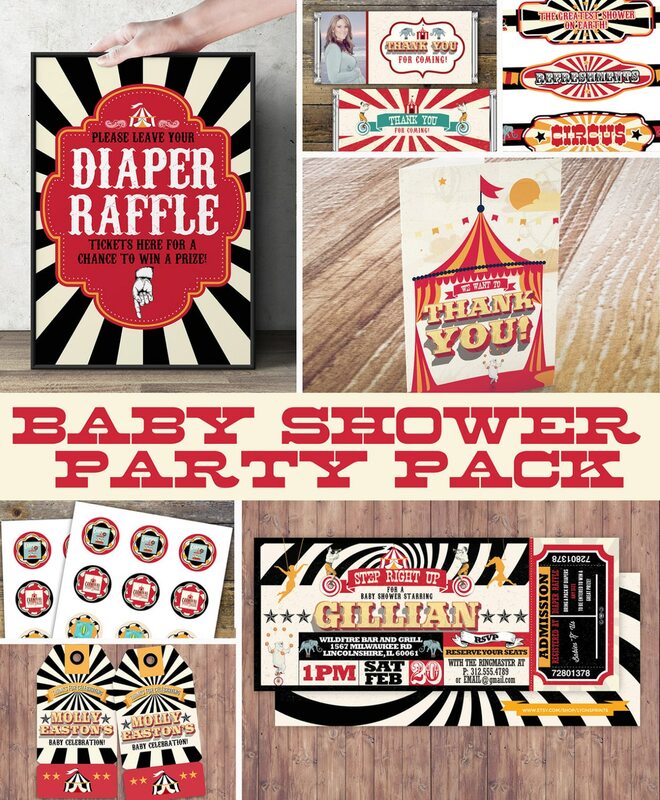 Honor the mom-to-be with this spectacular vintage circus-themed baby shower party pack! 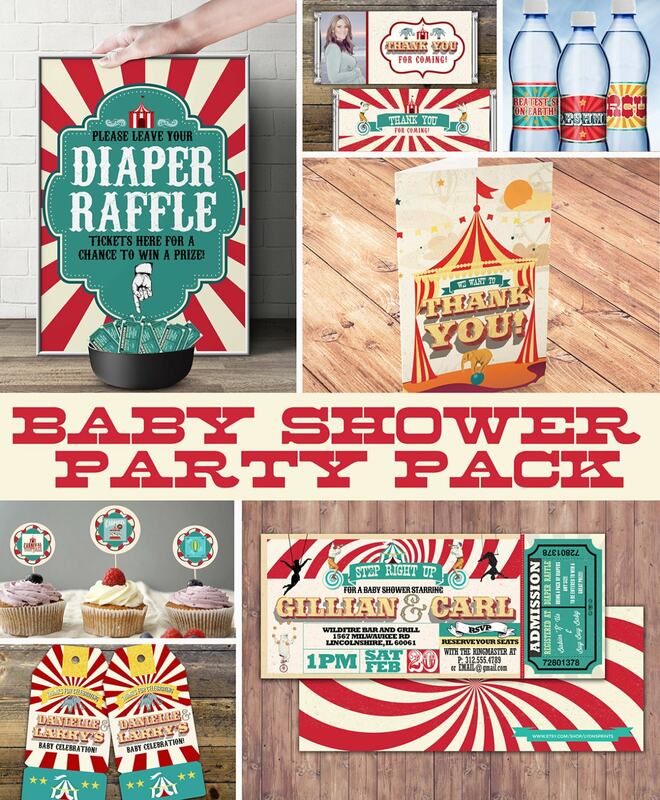 This FULLY LOADED baby shower package boasts a wide assortment of matching items! • Please leave your invitation info in the notes section when you check out.